For some, the word strikes fear into their hearts. Many times, it’s because people feel as though they have “failed,” before they have even begun. 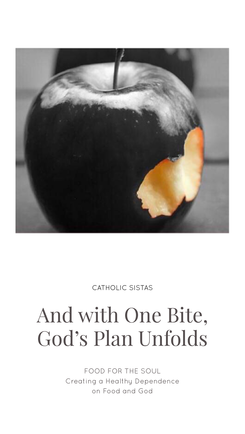 Looking at the three pillars of Lent – fasting, prayer, and almsgiving – the mere word brings up memories of not being able to “fast” the entirety of forty days. Yet, as I have grown in my faith life, I have begun to look forward to Lent. 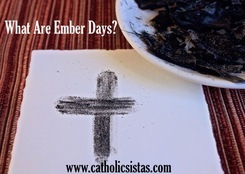 I no longer view Lent as an opportunity to “pass/fail” at this Catholic Faith journey. 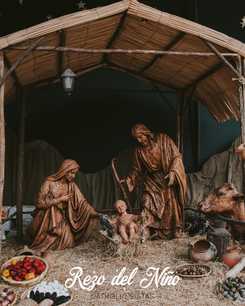 Rather, I view it as a way to grow closer to Christ – to enter into the desert with Him, to journey with Him, and to enter deeply into His Passion… with Him. It turns out, for most people, one of the scarier aspects of Lent is Confession. Growing up, I usually was sent to Confession in October as punishment for any number of reasons. I would approach the Confessional, express my sins and contrition, ask forgiveness, and be handed the penance. Traditionally, I received the “standard” penance of three Hail Marys, or a decade of the Rosary, or my favorite – the entire Rosary. Then, I would kneel dutifully at the pew after Confession, and pray the penance. We never took part in the Lenten Penance Services, and honestly don’t recall if they were even offered at that time. 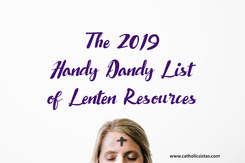 Fast forward to about five years ago, when I was introduced to this routine Lenten practice in most churches – the “penance services.” As I have grown fond of the Confessional and the Sacrament of Reconciliation, I know it strikes fear into others’ hearts. 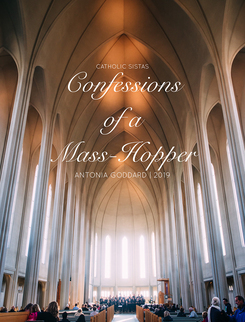 And, I confess, although I have come to love the sacrament, sometimes I still squirm at the thought of saying my sins out loud in earshot of another person. Even if that person is a priest, who is standing in persona Christi, or in the person of Christ, while sitting across from me. 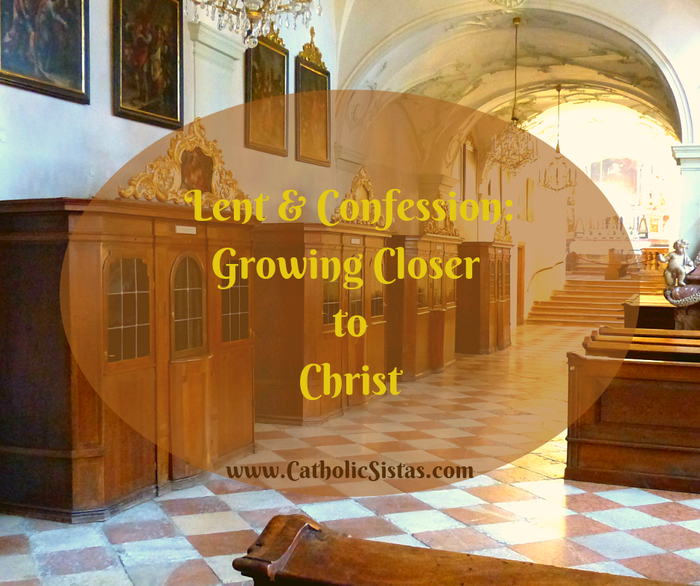 Yet, as I reflect back on Confession and penances, I am left with a few thoughts as to why Lent is the perfect time to sit with Christ in the Confessional, and to fully embrace the three pillars of fasting, prayer, and almsgiving. First, penances are not meant to be punishment. As I previously learned and counseled families, punishments are not meant to be teaching tools. Rather, they usually focus solely on the negative behavior that occurred, and does not lead to a learning curve for the person receiving it. Instead of punishments, parents are encouraged to discipline their children – meaning the person receiving the discipline is learning tools to assist them in appropriate behavior. 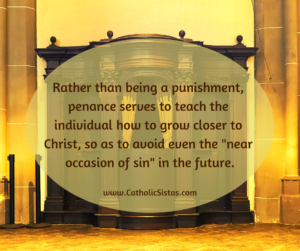 In the case of Confession, penance serves to teach the individual how to grow closer to Christ, so as to avoid even the “near occasion of sin” in the future. Gone are the days where the three Hail Marys are used as a penance. 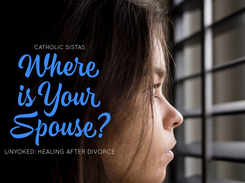 For example, perhaps one of my most meaningful penances was one in which I was told, “Go to Mass tonight and receive the Eucharist for your marriage.” Other Ink Slingers, writers for Catholic Sistas, have shared their most meaningful penances. 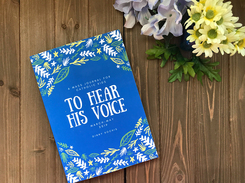 One included recognizing themselves not just as a sinner, or a woman, but also as a cherished and beautiful daughter of God. 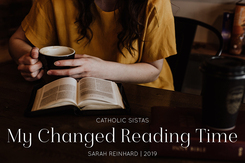 Another Ink Slinger shared that the mere presence of the priest, smiling and offering such a compassionate presence, made her feel as though she was in the presence of Christ at a moment in which she had been expecting to be chastised. These penances were less about punishment, and rather about leading the sinner closer to the One Who forgives us our trespasses. Second, the meaning behind the penances don’t always make sense, but with enough prayer, we may be able to suss out the intent. While I am still trying to figure out just what I was supposed to learn when I was given the penance of reading the entire Acts of the Apostles, other penances have been a little more clear with a little time in prayer. For example, I was once told to pray for the person I was struggling to like and respect. I didn’t want to pray for them, but I grudgingly undertook completing that penance (especially since we are not to partake of Communion until after our penance is complete). I was very specific in my initial prayer for that person, letting God know I had no desire to pray for that person; rather, I wanted the anger I felt toward that individual to just go away. As the week progressed, I began to notice a shift in my approach to that person. Years since, I look back and realize that my heart gradually softened as I spent time offering a bad day here for that person, or a prayer there, specifically for that person. I had been honest with God – both in the Confessional, and in prayer – and, He gradually helped shift my thinking. 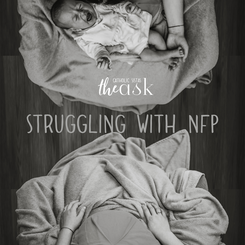 He helped me gain some clarity over the situation which caused me pain and anger, and helped me shift my approach toward that individual. Without seeking a deeper meaning in prayer, that penance would have been lost to me. 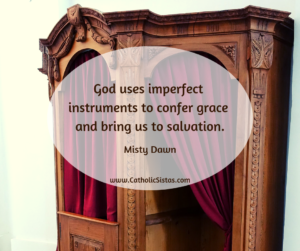 Finally, Ink Slinger and Catholic Sistas editor, Misty, summarized perfectly, “God uses imperfect instruments to confer grace and bring us to salvation.” When we sit in the Confessional and receive our penance, we are not sitting with mortal men who are judging us. Rather, they sit there, offering the Grace and Mercy of Christ, as we find explained in Matthew 16:19, “I will give you the keys of the kingdom of heaven, and whatever you bind on earth will be bound in heaven, and whatever you loose on earth will be loosed in heaven.” The Sacrament of Reconciliation is known as a “Sacrament of Healing,” precisely because it heals our soul. 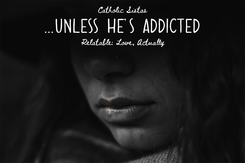 Through the words of absolution by the priest, Confession repairs our soul’s relationship with Christ. 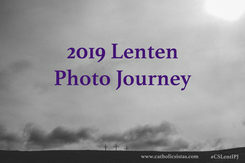 Lent is a time of entering the desert with Christ. The time we spend in the desert, fasting, praying, and giving of ourselves, we draw infinitely closer to Christ. 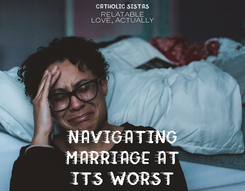 This year, let each of us make a commitment to brave the uneasiness of the Confessional, and take some time to repair the damage our sins have done to the relationship with Christ. Allow the words of absolution to be spoken, and embrace the penance. 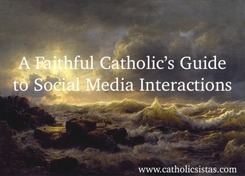 Will you join me in the lines of the Confessional this Lent? I would also love to hear – what has been your most meaningful penance?